My 11/14/15 flight from Las Vegas back to Milwaukee was around 5pm, and I needed to return my rental car by 2pm. That left me with an entire morning and part of an afternoon to squeeze in one last hike. 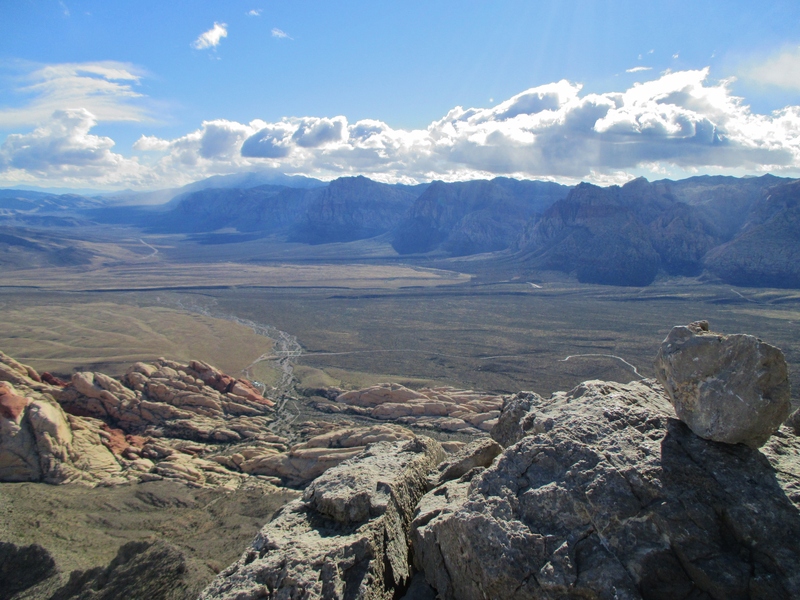 I had read some reviews on SummitPost, and decided to tackle Juniper Peak (6,109′) in Red Rock Canyon. Juniper Peak is situated between Juniper Canyon (to the left in above photo) and Pine Creek Canyon (to the right in above photo). 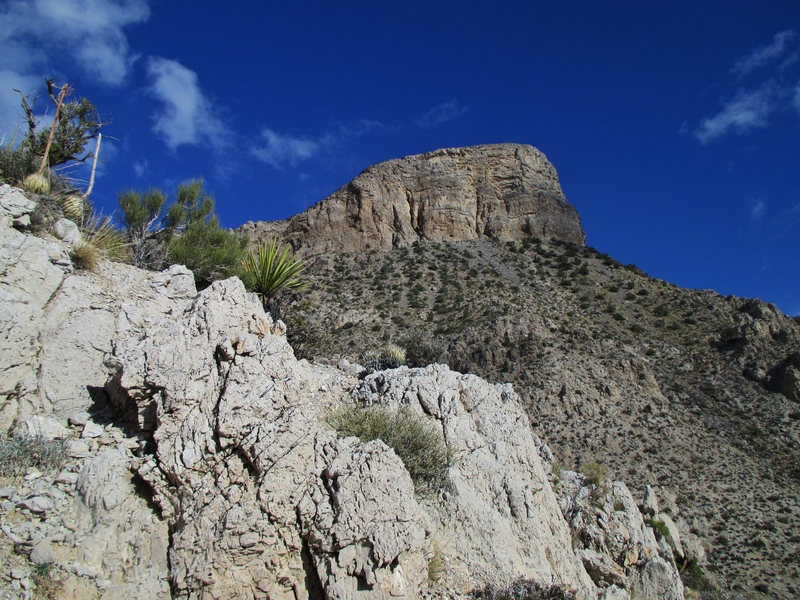 It offers a fun little class 3 climb via Juniper Canyon, along with a number of popular technical climbing routes. After a short hike to Juniper Canyon, the route ascends a boulder-strewn creek for several hundred yards. From there, I climbed a talus field to reach the base of Brownstone Wall. The route is marked by cairns the rest of the way up, so the navigation wasn’t too challenging. I passed a few climbers on the Brownstone Wall, but otherwise didn’t see any hikers. From here it was another 20-30 minutes to the summit, moving at a quick pace. The route became significantly steeper, but nothing more than class 3. I reached the top exactly 2 hours after leaving the trailhead. Ended up taking 3:45 round-trip. The return trip was straightforward and mostly uneventful. I did bump into a coyote that had been sleeping under some bushes, which I think startled both of us equally. 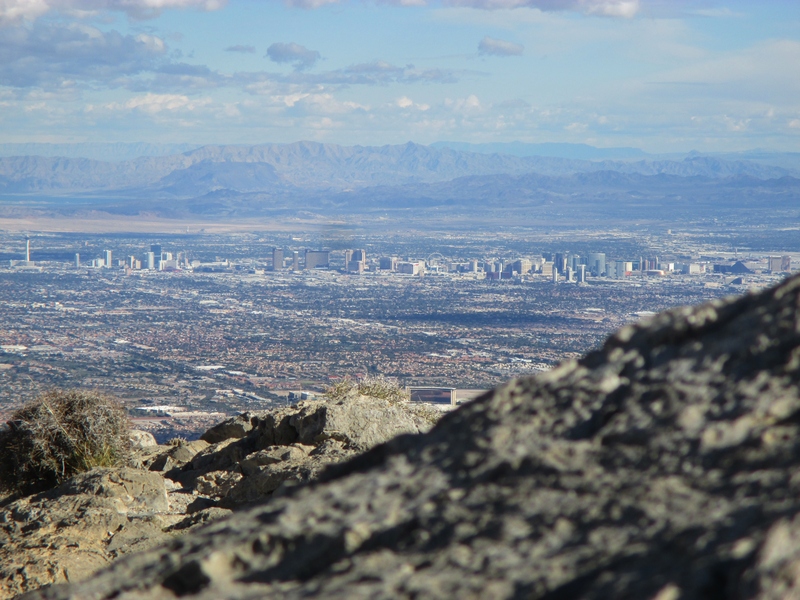 I flew into Las Vegas on 11/10/15 for some residency interviews, and figured I’d take the chance for some hiking while I was there. I picked up my rental car around noon, and had a few hours to kill before the pre-interview dinner that night. 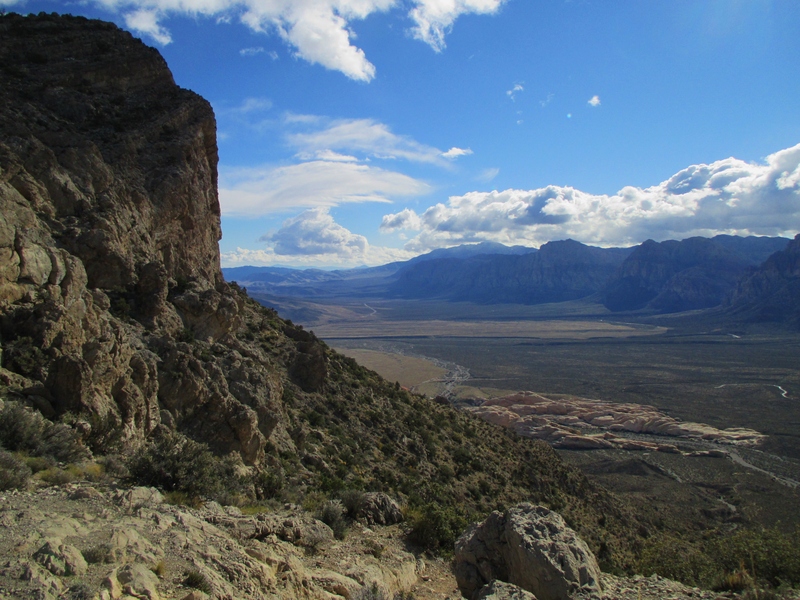 Decided to tackle Turtlehead Peak (6,324′) out in Red Rock Canyon. Round trip distance was roughly 5 miles, although I accidentally got off-trail for a short while on my way up. It turns out trails through the desert can be tough to follow.